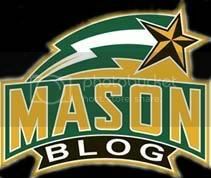 Jeff Goodman from Fox Sports posted on twitter yesterday that George Mason will be getting a visit from a big time recruit Naadir Tharpe this week. Tharpe is ranked the #17 PG in the country by Scout.com and #8 PG by ESPN (#52 overall). funny how little the rankings really mean in the scheme of things.